In spite of having played better, controlled ball much, U-23 Viet Nam fail to defeat U-23 singapore after having many attacks toward opponents. 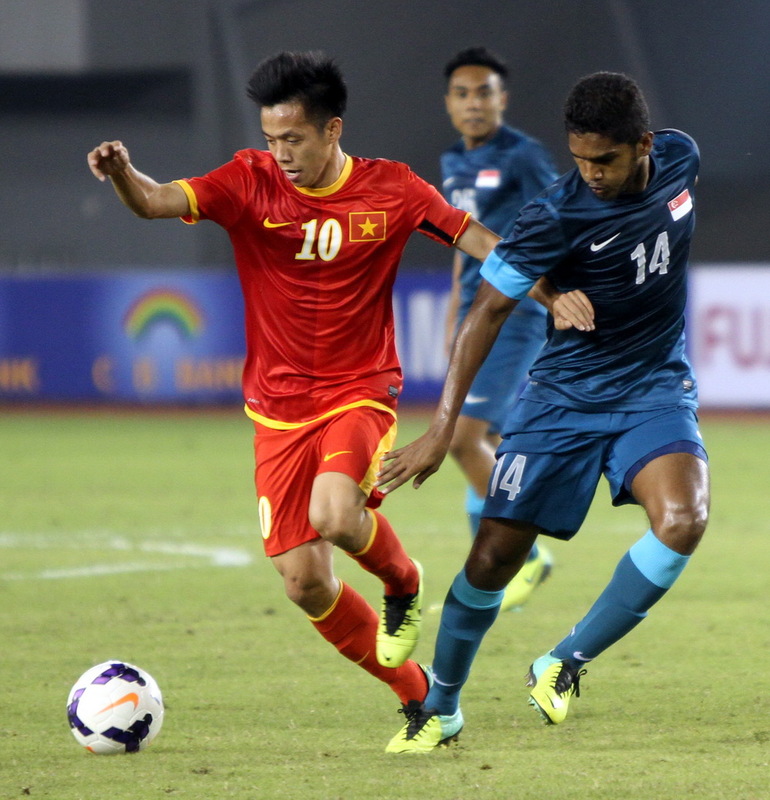 However, Viet Nam has an unlucky day when losing U-23 Singapore with score 1-0. U-23 Viet Nam played confidently against U-23 Singapore, especially after the big victory over U-23 Brunei in the first match of group B. Ha Minh Tuan’s created attack from the left wing, however ball went to one side off bar. In minutes of overwhelming, U-23 Viet Nam’s attacks weren’t quick enough to surprise U-23 Singapore. Therefore, they showed to be weak against attack of Coach Aide Iskandar’s men. 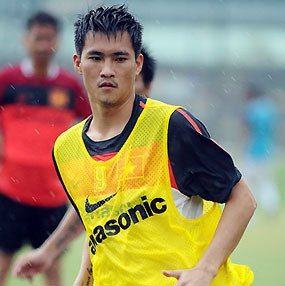 Viet Nam’s defender Ngoc Duc confused while trying to kick the ball away. He then gave the ball to Suhaimi whose shot touched defender Pham Manh Hung and changed the direction of the ball. Goal keeper Tran Buu Ngoc could do nothing as he watched the ball entering the net. After this goal against, U-23 Viet Nam established attacks toward opponents, however Van Quyet, Manh Dung, Van Thang, Vu Minh Tuan, Ha Minh Tuan fail to find to U-23 Singapore’s net. Entering the second half, U-23 Viet Nam continued to show their luckiness to find goal keeper Izwan Mahbud’s net. Viet Nam’s attacks were broken. Coach Phuc’s change to let Phi Son in, Van Quyet out replaced by Hong Quan weren’t accurate decision. U-23 Viet Nam hold ball in most of time, however no goal was scored for them. 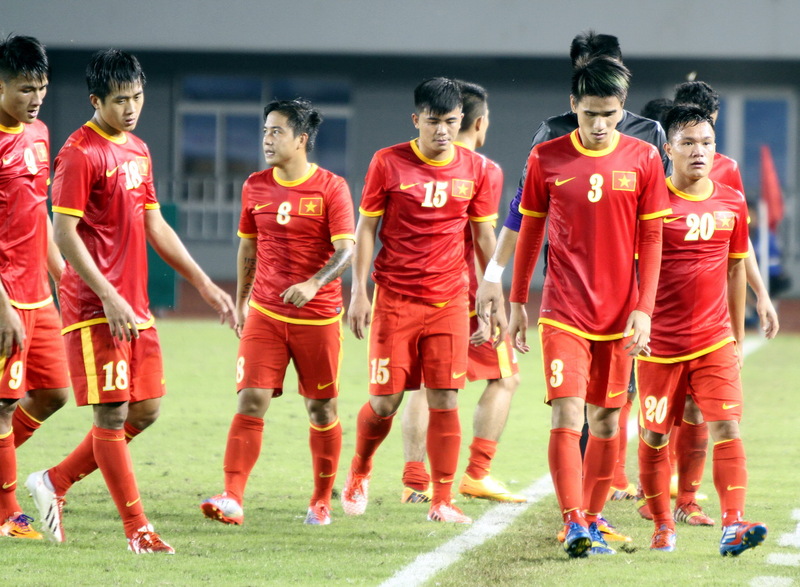 U-23 Viet Nam must try their best in two next games: U-23 Laos and U-23 Malaysia. U23 Viet Nam: Buu Ngoc; Quang Hung, Manh Hung, Tien Thanh, Ngoc Duc; Thanh Hien; Manh Dung, Van Thang (Phi Son), Vu Minh Tuan (Danh Ngoc), Van Quyet (Hong Quan); Ha Minh Tuan. U23 Singapore: Izwan Mahbud; Shakir Hamzah, Sahil Suhaimi, Afiq Yunos, Abu Sujad, Faritz Hameed, Ramli, Harun, Arifin, Baharudin, Shahfiq Ghani.